Food production tends to be one of the better kept chemical engineering secrets, so it is always good to see the sector being recognised for its work. If you enjoy cooking you’ll know the hazards of making a roux sauce (which isn’t lumpy) or an egg custard (that doesn’t split). They succeed or fail partly by how well they are emulsified. So imagine what it feels like to have the responsibility of making tonnes of emulsion-reliant products like mayonnaise and salad dressing on a factory scale? It’s a research field that attracts frequent attention from ‘chemical engineers’ and there was good news recently for David Lloyd, an EngD student from the University of Birmingham, who has just won the Julius Maggi Research Award, presented by the European Federation of Chemical Engineering (EFCE). David won his prize for his exploration of rotating membrane emulsification (RME) to produce oil-in-water emulsions. RME is an optimisation of the membrane emulsification process, where droplets are grown individually over time to create a uniform structure across the mixture. 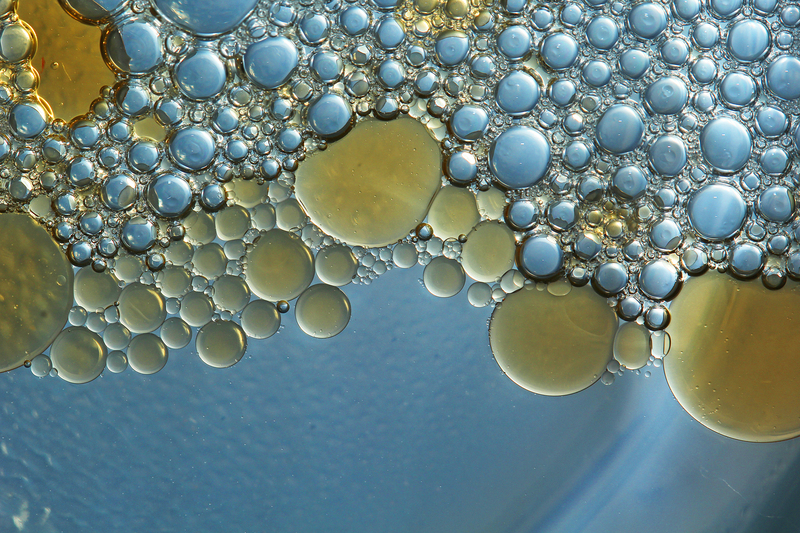 And here’s the key bit – because the droplets are formed in a different way to the more traditional emulsification processes, RME is shown to be up to 90 per cent more energy efficient. David presented his work at the 8th European Workshop on Food Engineering and Technology, which took place in April at the German Institute of Food Technologies (Deutsches Institut für Lebensmitteltechnik e.V., DIL), Quakenbrück, to an international committee of academic and industrial experts. Picture shows (L-R): Professor Dietrich Knorr, Technical University of Berlin, DE; Dr. Volker Heinz, DIL; winner David Lloyd; Dr. Ulrich Bobe, Nestlé; 1st runner-up Erika Georget, Leibniz University Hannover, DE; 2nd runner-up Delphine Huc, IRSTEA, FR. His work could have applications not just in the food industry. The energy intensive process could be used for medicinal, agrochemical and cosmetic products too. The EFCE‘s section chair, professor Dietrich Knorr, said: “David’s work contributes to a better understanding of the important process mechanisms that determine emulsion microstructure using low energy rotating membrane technology. 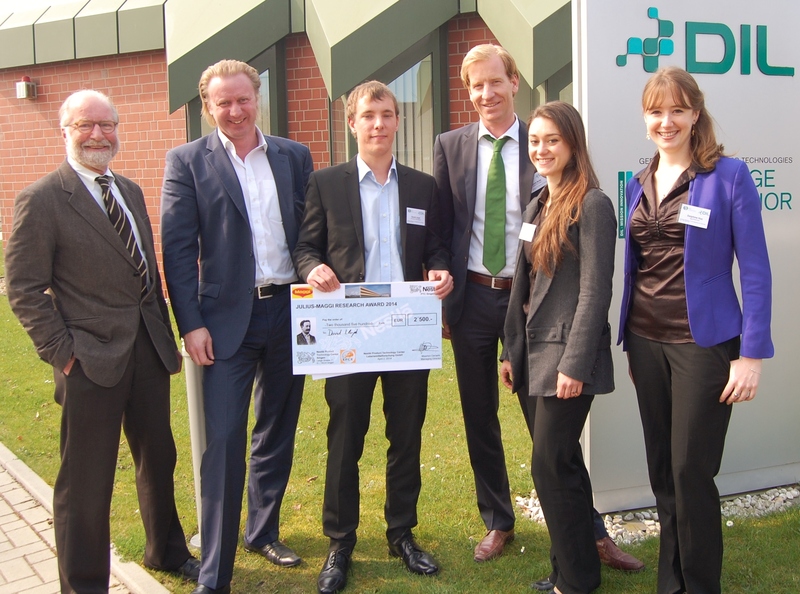 David received a €2,500 cash prize sponsored by Nestlé for his work. Congratulations to him and also the University of Birmingham who are very active and successful in this field.